Paul Gray’s message “Grace Is Unconditional Love In Action!” focuses on helping people experience and enjoy God’s love WITHOUT CONDITIONS for all people. He has found that knowing God personally leads to enjoying and experiencing life at a much higher level! Paul’s career began with his studies at Kansas University in 1965, where he formed his band, the Gaslite Gang, which made several national television performances and recorded five albums. They performed full-time from coast to coast for many years doing educational concerts and clinics as well as performing at a variety of venues. Paul owned a variety of businesses ranging from five retail music stores to a long-distance telephone company, as well as Paul Gray’s Jazz Place, a popular Lawrence, Kansas, jazz venue where he performed with his group. Concurrently, he served in the United States Army National Guard and Army Reserves for 24 years as a bandmaster. In 1999 his church started a medical clinic for homeless individuals, The Heartland Medical Clinic, where he was CEO for 7 years. It continues to serve the medical needs of thousands of patients each year. Paul Gray holds an education degree from the University of Kansas and a degree in Grace Theology from Global Grace Seminary. 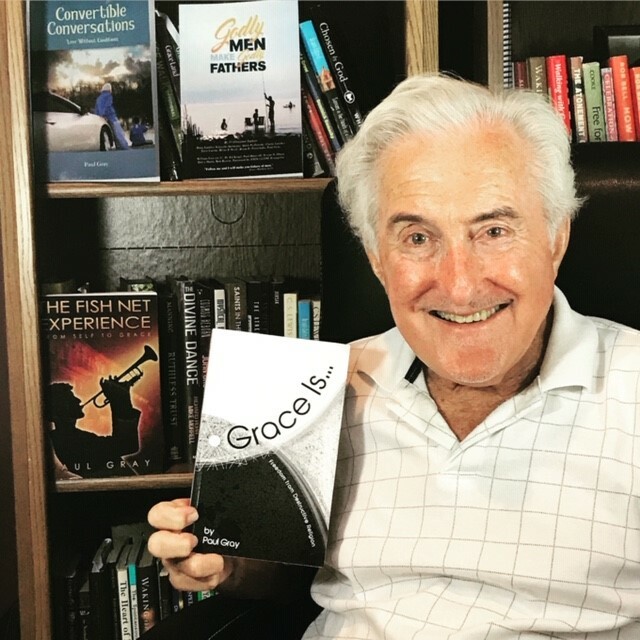 Paul is the author of the inspirational books “Grace Is,” “Convertible Conversations,” and “The Fish Net Experience. He is co-author of “Godly Men Make Godly Fathers.